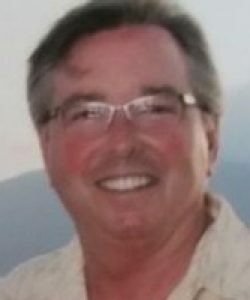 Richard J. Dumas, 63, of Leicester passed away Monday, January 21, 2019 in UMass Memorial Medical Center. Richard was born in Worcester, son of the late Clarence and Gertrude Dumas. He was a graduate of Worcester Boys Trade High School and has lived in Leicester for most of his life. The past 11 years, Richard worked as the housekeeping supervisor for the Jewish Health Care Center in Worcester. He had made many friends there and will be missed by all. He enjoyed reading, watching old movie films, fishing, relaxing on the beach and most of all had special love for Elvis Presley and his music. Richard enjoyed traveling with his wife and family especially when it came to their trips across Europe and the cruises they took. 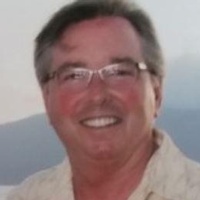 Family, friends and others whose lives Richard touched are invited to calling hours on Sunday, January 27, 2019 from 3:00 p.m. to 6:00 p.m. at MERCADANTE FUNERAL HOME & CHAPEL, 370 Plantation St, Worcester. Richard’s funeral service will be celebrated on Monday, January 28th at starting at 10:30 a.m. in the funeral home. Entombment will follow at Worcester County Memorial Park in Paxton. In lieu of flowers memorial remembrance in his name can be made to: Second Chance Animal Services 111 Young Rd./PO Box 136 East Brookfield, MA 01515.